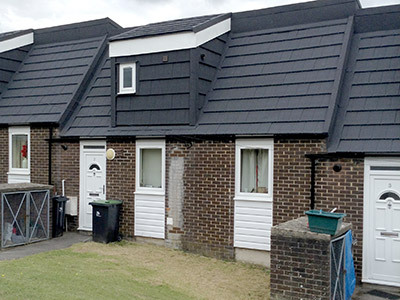 Britmet Lightweight Roofing Roofing System have been impressing specifiers and contractors of new build and refurbishments of non-traditional houses with its huge array of benefits, over traditional roofing products. 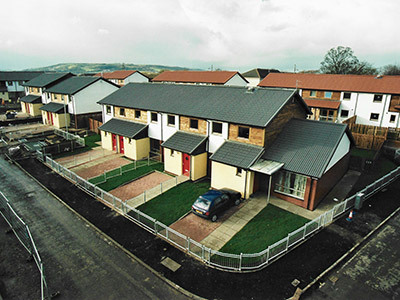 Britmet Lightweight Roofing’s Lightweight Roofing material provides stunning appearances, to match all British concrete tiles and Slate profiles and provides a full dry fixed roofing system, which has been used on many new build housing estates, such as Redrow Construction, where the Britmet Slate 2000 was used on over 2000 properties in 17 different locations across the country. 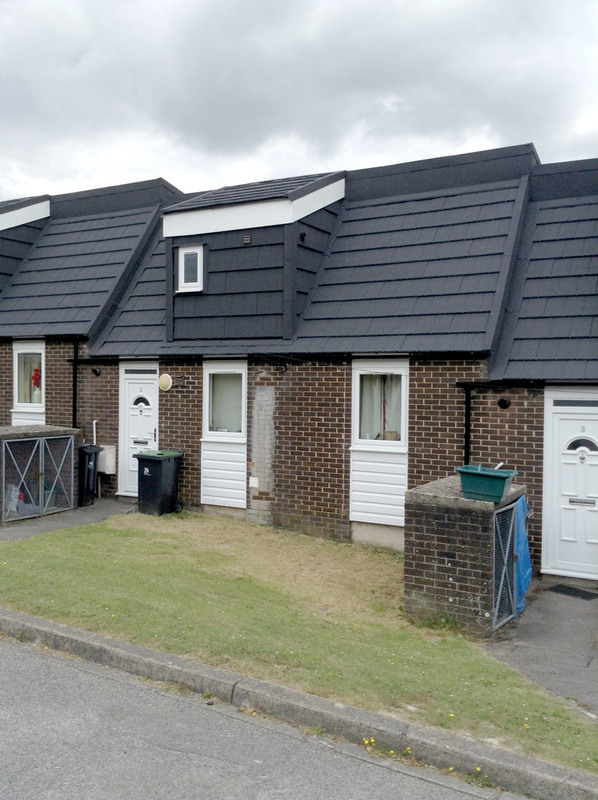 Each roof comprised of 100no Slate 2000, weighing only 700kg per roof and was installed in record time of 1 house per day per gang of 2 men. With the upturn in the British housing market modular construction have entered into market, manufacturing units in steel and timber, both suitable for Britmet Lightweight Roofing Lightweight Roofing. 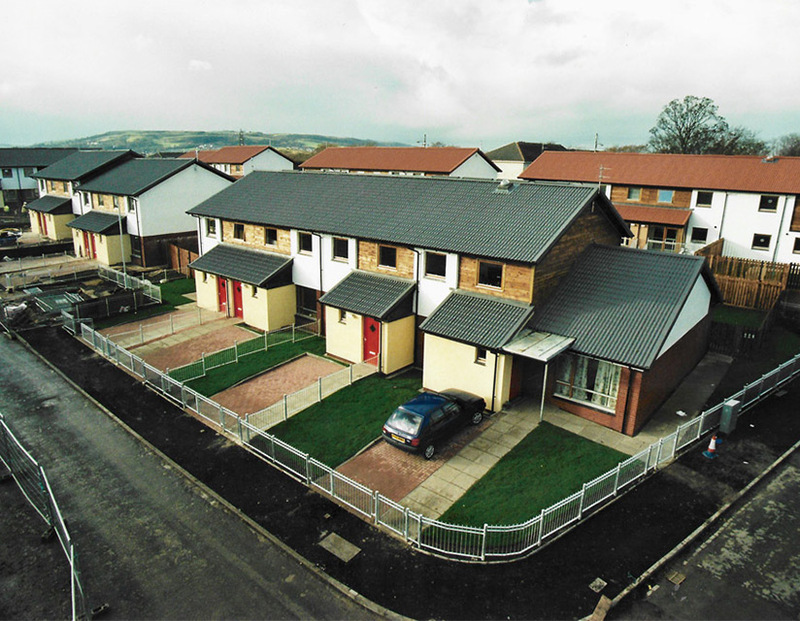 We have linked up with many house builders and modular manufacturers to help with the UK housing market, speed of construction being a massive issue, Britmet Lightweight Roofing Lightweight Roofing will improve the speed of the roofing installations. The installation of the Britmet Tileform Roofing system is up to 5 times faster than traditional roofing materials and even quicker installation with our Pantile 2000 Eave to ridge tile effect which can be up to 10 times faster. Our lightweight roofing profiles are 1/7 the weight of concrete tiles, allowing for less structure in the roof construction, speeding up construction and installation. 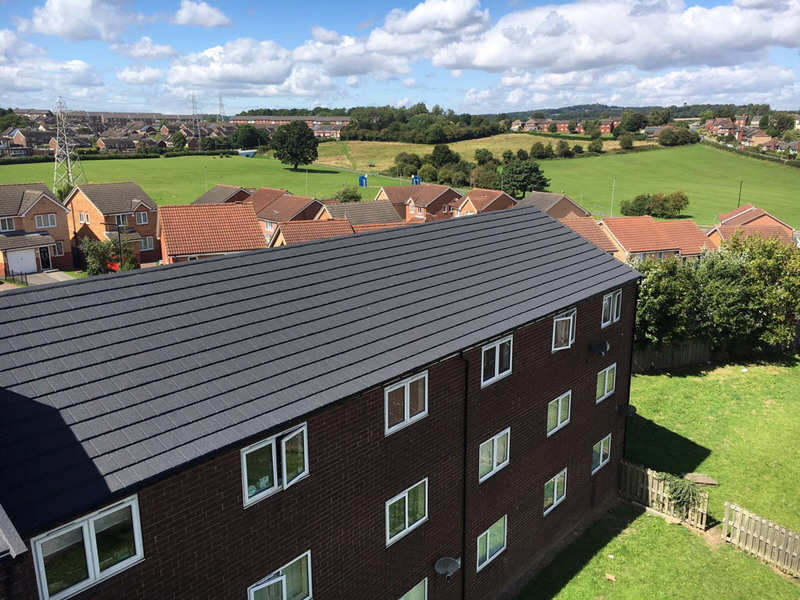 5° degree low roof pitch designs can be achieved using our Pantile 2000 and 10° plus for our panel tile/Slate system, Slate 2000, Ultratile, Plaintile, Profile 49, Villatile. 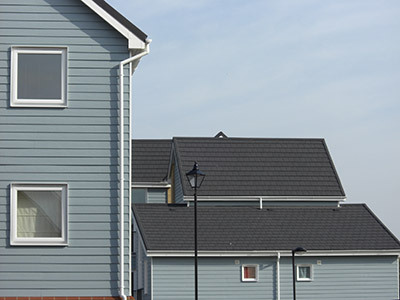 When it comes to non-traditional housing nothing surpasses Britmet Lightweight Roofing Roofing. 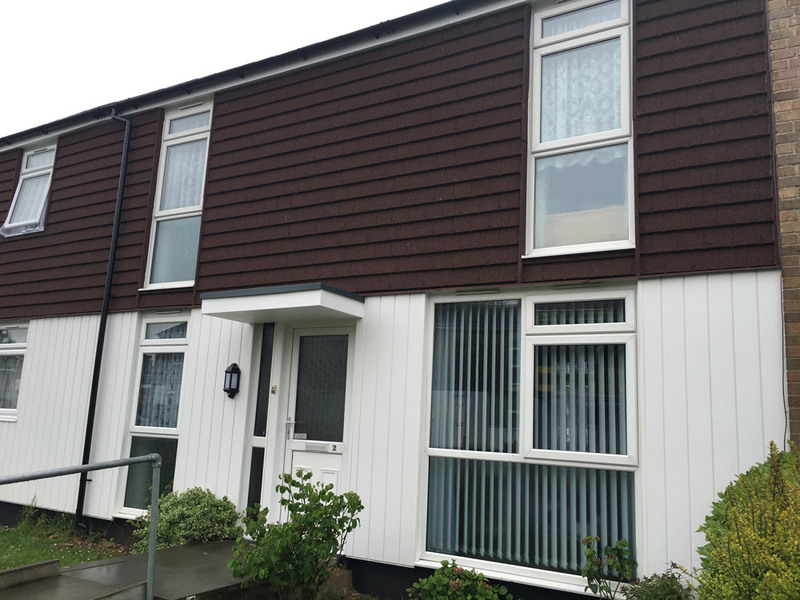 We have been given specifiers / builders the ideal roof design to overcome the non-traditional house construction limitations. 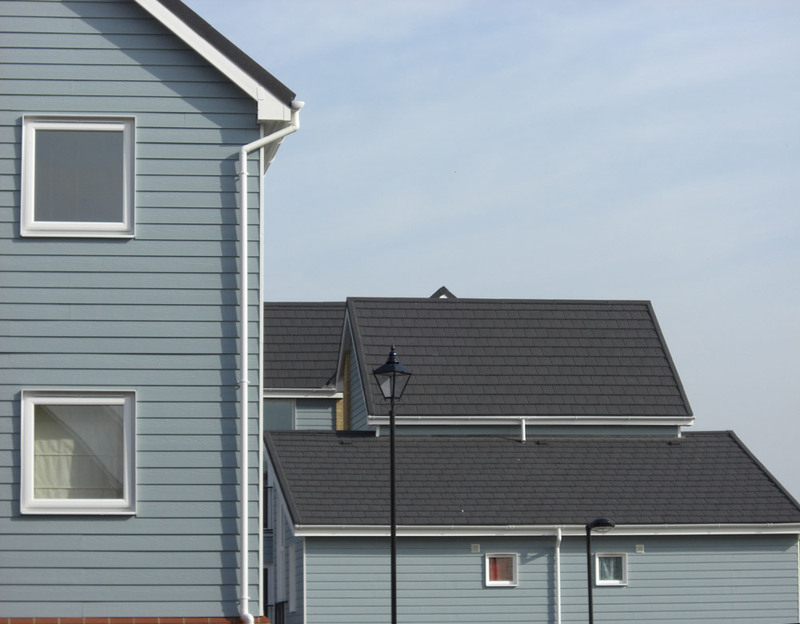 There are many types of non-traditional houses, BISF, Orbit, Hawkleys, Cornish, Edwards, Steel framed and timber frame to name a few, all require a lightweight roofing system. All built in the 1940’s, 50’s and 60’s these system built housing was developed to increase speed and efficiency on site, an average of 1.5million houses being constructed this way, however these houses started to produce defects, due to poor design, thermal, noise and condensation causing failure to the external cladding’s and in turn the structural components. 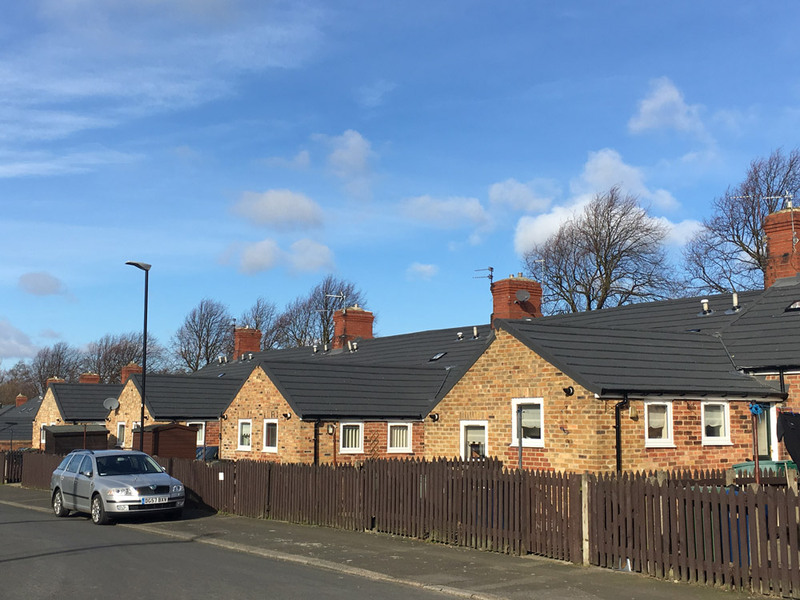 Due to this many non-traditional housing have been extensively refurbished with Britmet Lightweight Roofing roofing systems to improve the existing design to comply with today’s modern methods of construction. 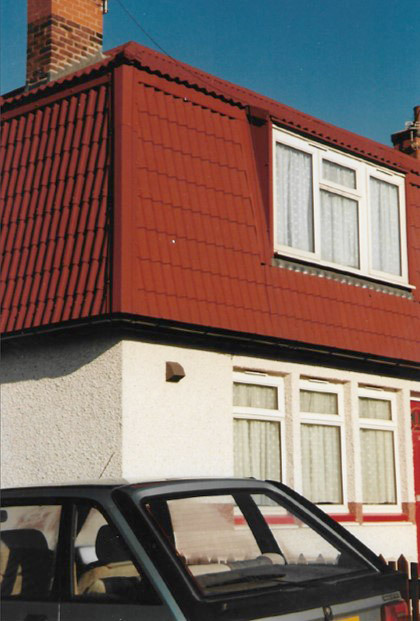 Britmet Lightweight Roofing has been used on many thousands of non-traditional houses over the last 40 years of manufacturing lightweight roofing. 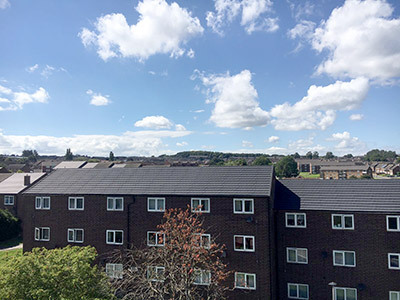 As the only British Manufacture of granulated lightweight roofing, we are proud to provide our customers with British profiles such as Pantile, Ultratile, Slate, Profile 49, Villatile and Plaintile, which all suited for low pitch non-traditional roofs, (15°) being lightweight, quick to install, fire rated, allows for foot traffic, emits less noise during heavy rainfall than concrete tiles, comes in a large range of colours, with full technical support, free estimate and fast delivery times. 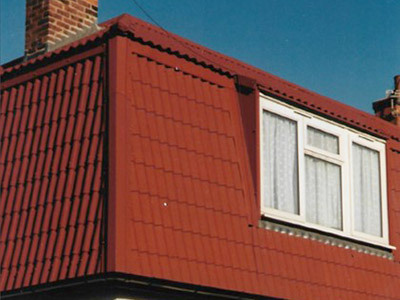 Why not contact us today on 01295250998 or contact us here for free technical advice, quotations and how you can benefit from a new residential roof with Britmet Lightweight Roofing.